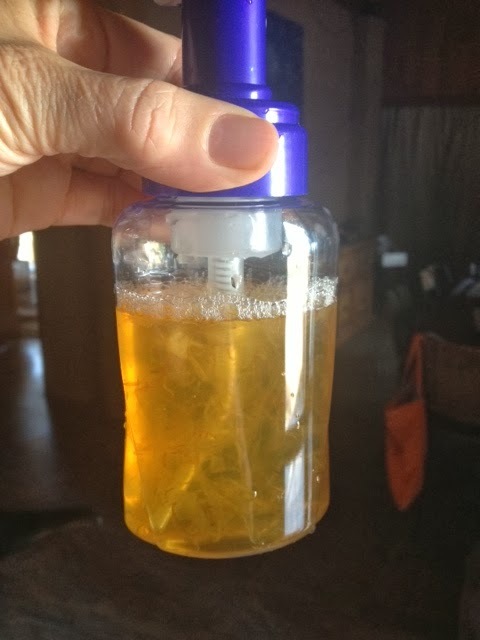 The Good Life Down Under: DIY liquid soap - no chemicals required!! DIY liquid soap - no chemicals required!! A year or so ago I bought a bulk lot of liquid castille soap that I've been using in our reusable hand soap dispensers, but a few months ago I ran out. I prefer liquid soap for hands as it is easier in the kitchen and bathroom and doesn't leave the same mess as home made olive oil soap bars do with regular use (all that lovely glycerine gloops out). However, with increases in postage (no local suppliers) it just wasn't practical to buy more online, so I went looking for another solution. 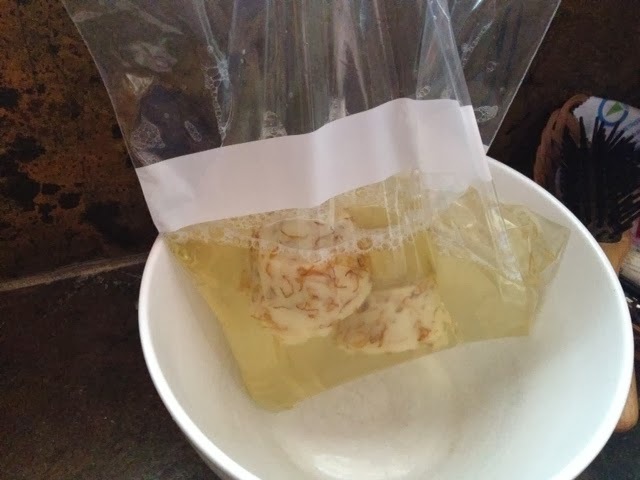 I stumbled across this post at The Frugal Berry - in a nutshell you use a bar of Castile soap (say Dr Bronners, but of course you can use home made soap), water, a bag and some time. Seemed far to easy, but nothing venture nothing gained, so I gave it a whirl. and it really was as easy as the instructions on the blog. I did use two cakes of soap, but mine were small. In fact this was soap that didn't work so well (with calendula flower threads) so this has been a great way to use it up. It made 1L of liquid soap, and probably cost less than $5. We use my homemade soap in the shower, but liquid soap everywhere else. I add the remnant ends of soap bars to the liquid soap bottle and just top it up with water. The same bottles (one in the kitchen, one in the bathroom) have been going for years (literally) like that. Seems I'm the last to this liquid soap party Linda :-) Thanks for your comment, that sounds like a simple and easy option!